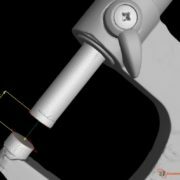 Industrial CT scanning continues to gain popularity for use in measurements. 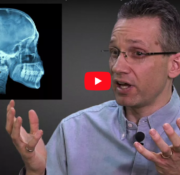 The real question to be asked is: Is the data extracted from CT scans accurate? 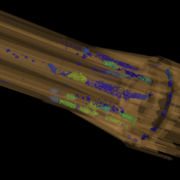 Since its inception, CT scanning has been used to visualize internal structures from people to industrial items. It is unparalleled in its ability to see those things that are hidden inside an assembly. It is also important for measuring the effects of an assembly in its assembled state. 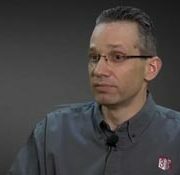 Using CT data to provide accurate measurements has always been around but there was no universally agreed upon ways to ensure the validity of the measurements. 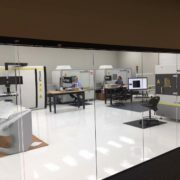 https://www.3d-engineering.net/wp-content/uploads/2019/02/CT-Scanners.jpg 1224 1632 Rob Glassburn https://www.3d-engineering.net/wp-content/uploads/2018/02/3d-engineering-logo.png Rob Glassburn2019-02-20 08:15:032019-02-19 16:50:56How is the Accuracy of Industrial CT Scans Verified? Every day, we in industry find ourselves in need of verifying the parts we have designed and built. 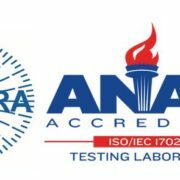 Part of this verification comes in the forms of physical testing, as well as measurement and analysis. 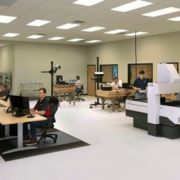 Whether you are looking at a prototype component or have a need to create an inspection plan for a production component, you will need someone who is proven capable in the science of measurement, otherwise known as the field of metrology. 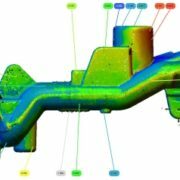 A simple Google search will reveal that there seems to be no lack of companies offering the services of metrology. Since shortly after X-Rays were discovered in 1895 they have been widely used in many diverse applications. The medical field was an early adopter of this technology, using X-Rays throughout the world within the first year. As it developed in medicine other uses emerged on the industrial side. With the advent of new ways of creating medical implants that promote bone ingrowth, an updated method of evaluating their effectiveness should be employed. 3D Printed Additive manufacturing and other creative manufacturing techniques have been developed to create porous structures that promote bone ingrowth. Traditionally, the effectiveness of these structures is tested by taking 2D cross sections of harvested implants and applying calculations to define pore size and interconnectivity. In this way, researchers can test and compare the Osteoconduction ability of the new structure. 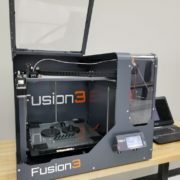 The F400 Fusion 3 3D printer offers best-in-class print speed and quality. 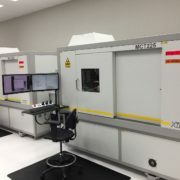 This equipment allows for the development of customized fixtures able to enhance efficiency, reduce cost, and increase repeatability of 3D Engineering Solutions CT scanning capabilities with our industry leading suite of CT Scanners.